The President, Nigeria Labour Congress, Mr. Ayuba Wabba, and his team met for about 40 minutes behind closed-doors on Thursday evening, with the Senate President, Bukola Saraki, to discuss the nationwide strike over the hike in fuel price. Wabba told journalists after the parley that the strike would continue until the Federal Government resumed talks with the NLC, under his leadership, on the crisis. The NLC team, however, told the Senate leadership that the workers were ready to go back to the negotiation table with the Federal Government over the fuel matter any time invitation to that effect was extended to them. 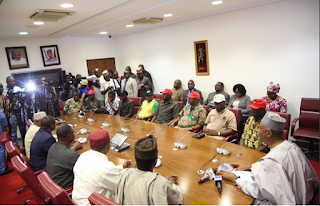 He debunked reports that labour leaders walked out on the negotiation team of the Federal Government on Tuesday night before the strike commenced on Wednesday. Wabba said, “We are trying to engage government in negotiations essentially about the trade issue, about the electricity tariff but importantly about the increase in the pump price of PMS from N87 to N145 and we have assured the Senate President that at no point had we walked out on the government. “In fact, when those issues were presented and the position of government was made known to us, we did not actually agree and we requested that we excused them. “We have not at any point walked out on government and we are still open to discussion and dialogue because we are also doing this in the best interest of all of us as working class and also the larger population of citizens. 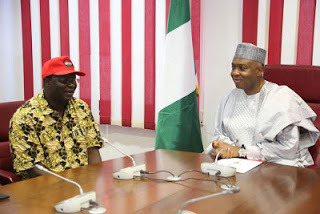 Saraki said the meeting with the leadership of the NLC was part of the process to find a lasting solution to the impasse and trying to see how the upper chamber could bring an end to the strike. He said, “I am happy to report that the NLC has shown its commitment to continue to dialogue with government and our role is to see that we facilitate and ensure that the dialogue can address the issues. Meanwhile, the House of Representatives on Thursday called for the payment of a “living wage” to Nigerian workers to cushion the effects of the N145 new pump price of petrol on the people. This was an indirect support for a rise in the national minimum wage from N18,000, but the House did not say how much a new minimum wage could be. Labour has since demanded an increase of the minimum wage to N56,000. 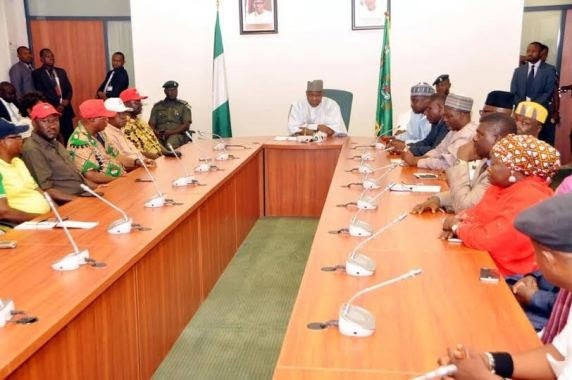 Lawmakers also appealed to the leadership of the NLC to suspend the strike. 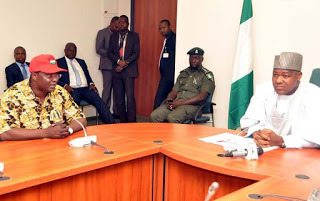 The Speaker of the House, Mr. Yakubu Dogara, spoke with reporters soon after a meeting between the House and the leadership of the NLC ended about 6.45pm on Thursday at the National Assembly.